Major retail and grocery stores have all rolled out vendor compliance programs in recent years. 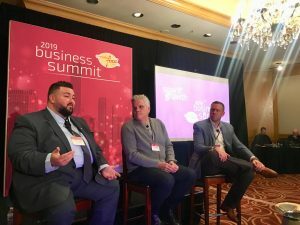 Merchants like Walmart, Kroger, Amazon, and Target have instituted vendor scorecards that encourage suppliers to more accurately hit order quantities and timelines. These exist to help the stores remain competitive, lower inventory costs, and keep their shelves full. Vendor chargebacks occur when brands do not meet scorecard parameters. Out-of-compliance shipments cause costly inefficiencies and result in the potential loss of sales (out-of-stocks). To recoup the lost revenue and time, retailers issue financial deductions against an invoice. Depending on the retailer, the fine could be a certain amount per box, shipment, order, or even a flat rate. Fines can be as much as 20% of an invoice, equating to tens of thousands of dollars in lost revenue. Late or early deliveries: Retailers place orders based on sales projections with the goal of receiving goods right before their shelves are emptied. This just-in-time model helps to keep inventory costs low. When freight arrives outside of Must Arrive by Date (MABD) parameters, late or early, efficiencies established by the retailer get derailed. Order fill rate violations: Similar to delivering goods late or early, delivering too much or too little product disrupts the popular just-in-time strategy. Walmart is a good example of a retailer that polices this metric. Their On Time In Full program grades vendors on how accurately they deliver the number of cases ordered. Late, unreadable, or inaccurate advanced shipping notifications (ASN): Retailers require the transmission of shipment information in advance of delivery. When there are errors in this information, distribution centers (DCs) cannot properly prepare receiving docks, allocate existing inventory, or plan for labor. This causes a domino effect of disruptions. 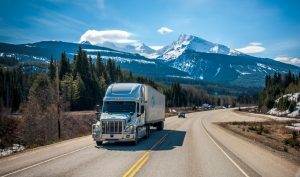 Choosing the wrong carrier: Retailers tend to work with certain carriers more often than others, particularly when it comes to less-than truckload (LTL) shipments. Some LTL carriers go into large retail and grocery facilities daily, others go once a week. Those that go more often are called preferred carriers and can help brands more easily meet strict MABDs, provide better service, and can better deliver on retailer-specific demands. If you chose the wrong carrier, your order could sit at an LTL facility for days, missing your due date, even though you provided more than enough time to hit the delivery deadline. Improper paperwork or label: Whether hard-copy or digital, including the wrong paperwork with a shipment can cause a storm of issues. If the ASN, BOL, or PO are incorrect the facility can’t accept the order. Until rectified, your shipment will remain in limbo. Shipping to the wrong location: This happens more than you’d think. Doing something like dropping an order off at Building A instead of Building C could cause major difficulties. Whether caused by a driver, paperwork, or operations error, delivering to the wrong building can be costly. Even if the transfer point is close in proximity, your shipment must be repacked and redelivered. This requires labor and comes with a fee from the receiver. This could very easily result in your order being delivered late. Not being packed according to retailer specs: The reconfiguring of a skid or truck uses up both resources and time and often results in a late delivery. Thankfully, if set up with rework facilities, problems with singular pallets can be fixed relatively quickly. Issues get more complex when equipment instructions aren’t followed. For example, DPSG doesn’t allow pinwheeled pallets – when pallets are loaded on a truck with alternating orientation. If your 20 skids arrive pinwheeled, unloading takes at least an extra hour to complete. This interrupts all the subsequent appointments and puts everything behind schedule. There’s a common thread between all these chargebacks – the disruption of planned efficiencies. Retailers do not issue chargebacks to punish vendors, but instead to incentivize behavior that helps promote optimum profitability for all parties. 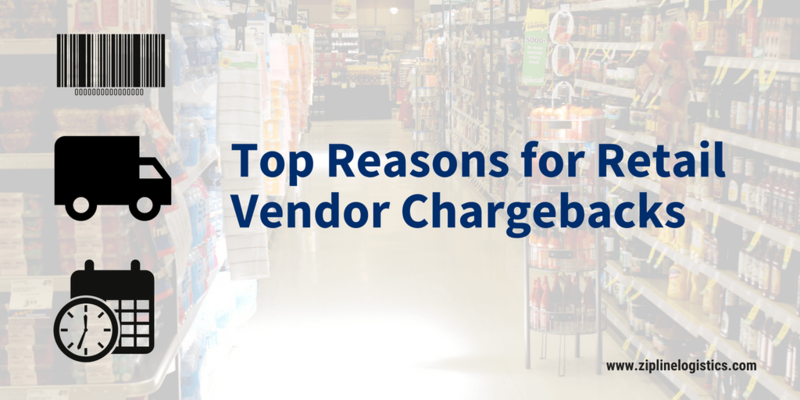 What else is driving retailers to push vendor chargebacks onto CPG companies that can’t meet fulfillment compliance? Retailers are missing out on nearly $1 trillion in sales because they don’t have on hand what customers want to buy. IHL reports that shoppers encounter out-of-stocks in as many as one in three shopping trips. In response, retailers are pushing for harder compliance and supplier chargeback programs. Why aren’t these programs working like they’re supposed to? In the last 10 years, transportation has been relatively cheap and easy to source. It wasn’t overly costly for vendors of consumer products to ship small quantities at high frequencies, keeping inventory costs low for the retailers. The concept of “just-in-time” worked arguably well. Current freight markets are no longer supportive of this model. Trucks are harder to secure and it’s costlier to move freight in low volumes. Big brands like General Mills and Yoplait have reported to Wall St. Journal that they’re facing extreme difficulties getting product to stores on time. Imagine how problematic this must be for smaller companies that don’t have nearly the same buying power or network resources. While compliance and vendor chargeback programs do effectively incentivize suppliers to meet delivery and packaging parameters, they are becoming increasingly hard to meet. We’ve built Zipline Logistics to best serve the transportation needs of consumer product brands. How? Our entire network of carriers is accustomed to delivering into big-box stores, values on-time transport, and has food-grade equipment. We’re also uniquely familiar with the nuances of each major distributor and retail/grocery DC. This specialized transportation expertise, paired with our dedication to customer service, means that Zipline clients can ace their deliveries and avoid costly vendor chargebacks.